Home > News > News > Catch “Portrait of Sinatra” Before It’s Gone! Catch “Portrait of Sinatra” Before It’s Gone! Just a few chances left to catch the show that guests are raving about! 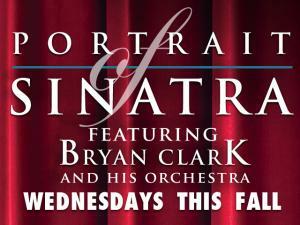 Multi-talented performer Bryan Clark salutes some of his favorite legendary performers – Frank Sinatra, Tony Bennett, Dean Martin, Sammy Davis, Jr. and more in Portrait of Sinatra. Don’t miss out on this musical tribute to the golden age of swingin’ and singin’! Remaining show dates – September 29 and October 6.